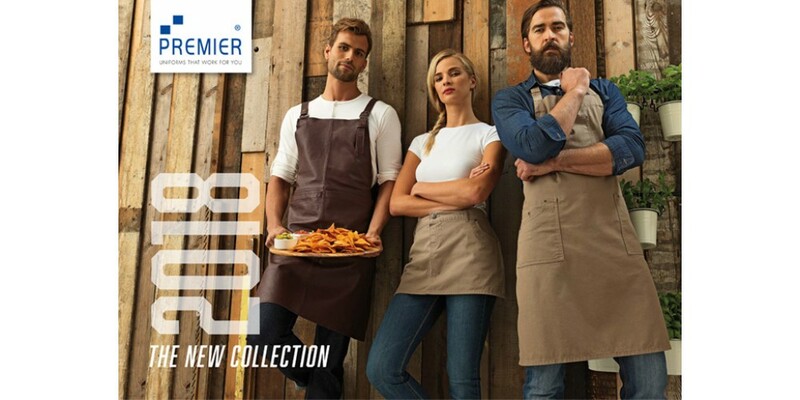 Chino inspired Aprons, Jeans-stitch Aprons, Denim Chef’s Jackets are just some of the collections available in our latest Hospitality Clothing Selection 2018 brochure. Get your copy today. As the trend in informal, casual dining concepts continues to grow, it is no surprise the demand for cool, casual, high street trend uniforms gathers momentum. Working in partnership with Premier, leaders in the apparel industry, we are pleased to present our latest Clothing Collection, reflecting the latest fashions of the modern workplace. We are all about the colour, and you will be spoilt for choice with our extensive range, including key pieces available in up to 60 shades. Choose from Latte, Strawberry Red, Rich Violet, Steel and 56 more colours in our Bib Aprons Colour Collection range. If you are looking for vintage inspiration – why not go for the Black or Grey Denim – over time repeated washing will give these aprons a vintage appearance! Take a look at our new bar wear collection; long john roll sleeve tees, polo shirts, stitch denim shirts and Gingham Microcheck Shirt options, and create a look that is cool, casual and bang on trend. We offer Fairtrade Black Bib and Waist Aprons for businesses who want to promote the message of Fairtrade through their working practices. The fabric is 100% Certified Fairtrade Cotton and items are labelled with the official Fairtrade Logo; a great endorsement of your brand. Take the heat off in the kitchen and look seriously cool with our new Chefswear Collection including the NEW Denim Chef’s Jackets. With a mandarin collar stand, ten snap button fasteners, breathable and two popular denim colourways, this is an alternative solution to the traditional chef’s whites. Shop the collection online today or get your FREE copy of our brochure today, simply fill out a few details and we will pop your copy in the post. What’s more, all our clothes are perfect for print or embroidery personalisation so we are offering FREE disc set up and embroidery up to 5000 stitches across all items in the brochure* – so not only can you have on trend uniforms, you can also reinforce your brand at no extra cost! *minimum order quantities apply and lead times vary depending on the clothing item.